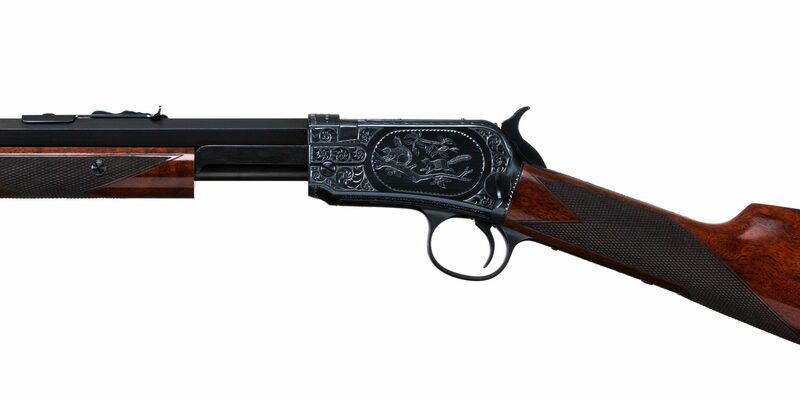 Presented for you today is an upgraded and fully restored Winchester Model 1890 in .22 Short. Carrying serial number 848375, this vintage slide action rifle is dated at 1935. 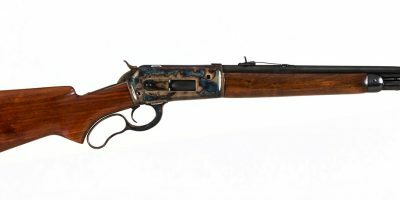 The original 24″ octagon barrel sports the rifle’s original sights. 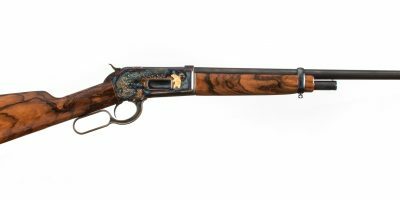 Receiver engraving features #8 Winchester pattern with rabbit and squirrels. 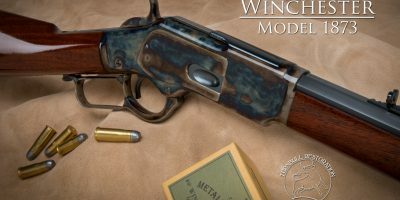 Metal finishing includes rust blue barrel and magazine tube, charcoal blue receiver and parts, and color case hardened hammer. New buttstock and forend both feature upgraded 3x wood, finished to match original Winchester red shading. Checkering is in Winchester H pattern at 22lpi. 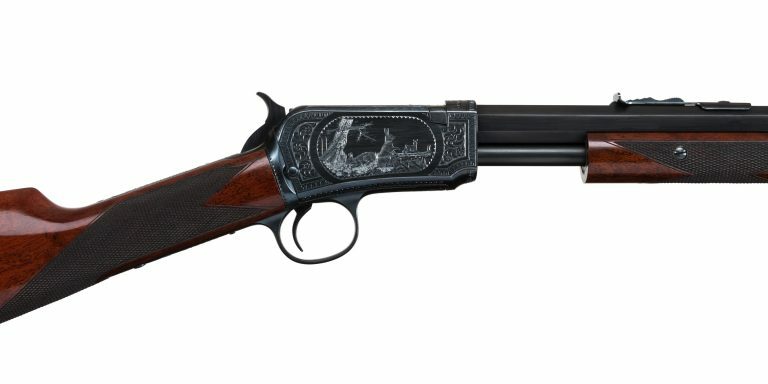 An excellent acquisition for any vintage Winchester collector.